The dual Group 2 winning two-year-old SIGNORA CABELLO has been added to the Tattersalls December Mares Sale as a wildcard and will be offered as a filly in training on the evening of Tuesday, 4thDecember as lot 1908A. The daughter of CAMACHO scored her first black-type victory in the Listed Marygate Stakes at York before winning the Group 2 Queen Mary Stakes at Royal Ascot. She then won the Group 2 Prix Robert Papin against the colts in Deauville before finishing a close second to PRETTY POLLYANNA in the Group 1 Prix Morny at the same track. Following her Queen Mary win, trainer John Quinn commented; “All she's done is improve and she's improved again. She's very laid-back, has a very good mind, and she's got plenty of ability”. 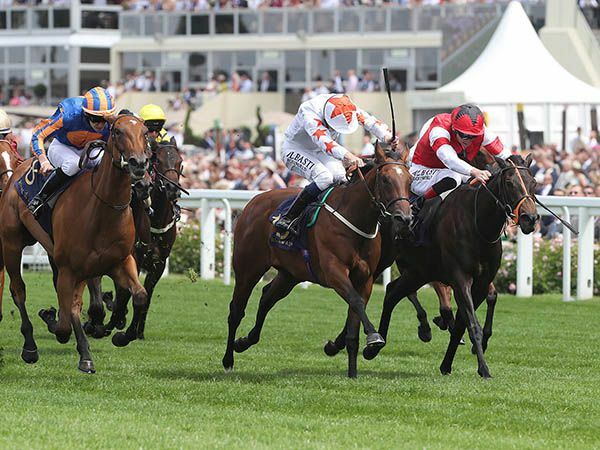 ‘Timeform’ rated SIGNORA CABELLO 113 following her Prix Morny second, commenting; “there are more good races to be won with her”. Raced by Phoenix Thoroughbreds and Zen Racing, SIGNORA CABELLO is out of the NIGHT SHIFT mare JOURNALIST who was second in the Group 3 Princess Margaret Stakes at Ascot and is a half-sister to three other Group/Listed placed fillies. She hails from the family of 1,000 Guineas heroine LAS MENINAS as well as dual Group 1 winner KINGSGATE NATIVE and Group 2 Flying Childers Stakes winner SHEER VIKING. The Tattersalls December Mare Sale takes place from December 3 – 6. Catalogues are online now at www.tattersalls.comand available from Tattersalls and Tattersalls Representatives.